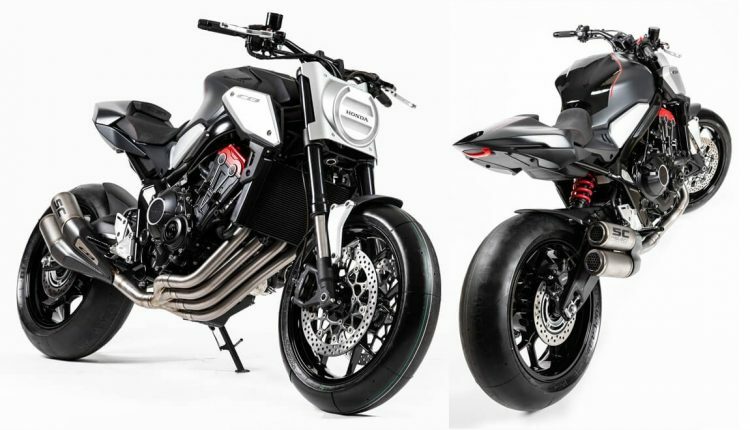 Honda has unveiled the updated version of the Neo Sports Cafe Concept at the 2018 Paris Motor Show. Based on the production-spec CB650F, the concept marks second generation design language for the existing range of products like CB125R, CB300R, and CB1000R. It was designed in Rome and comes with a pure street bike DNA with no useless panels at all. The addition of cafe racer bits into the design has resulted in this eye candy output. 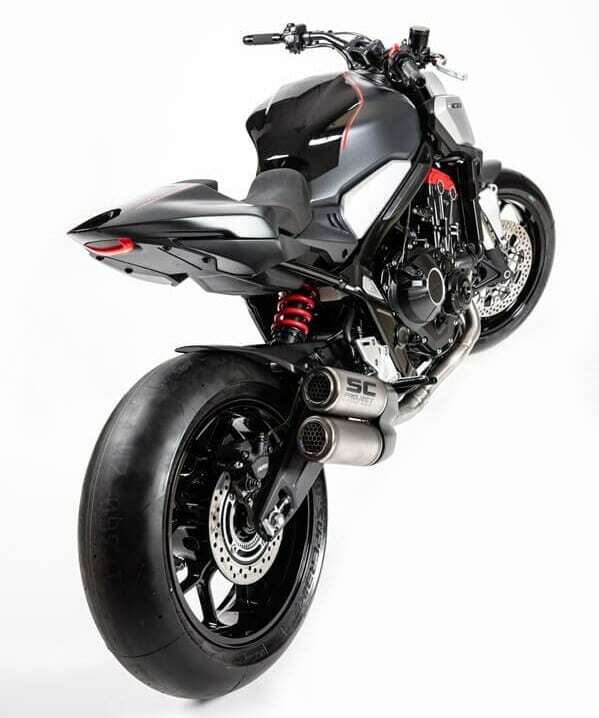 The exhaust used here is mounted at the perfect angle, resulting in an impressive stance for the motorcycle. The front comes with retro-modern headlight design that is mostly seen on the cruisers. 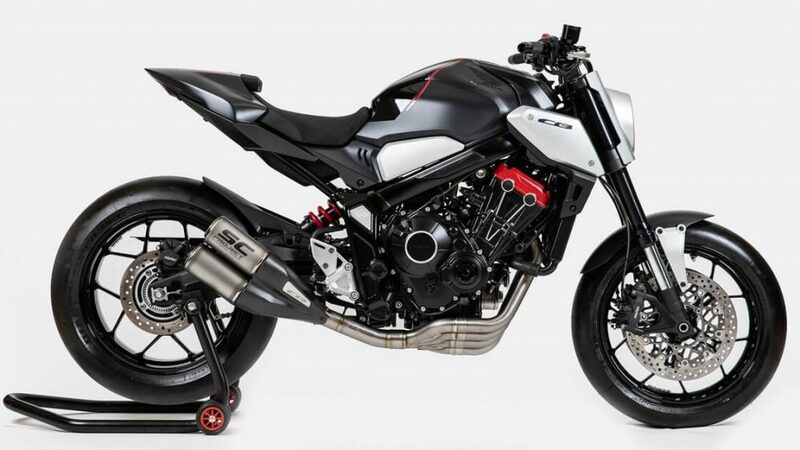 Neo Sports Cafe Concept may be based on the CB650F platform but, can support even the 998cc, four-cylinder engine from the 2018 CBR1000RR. The engine seen here gets a red highlight on the upper side while everything else stays Grey in finish. 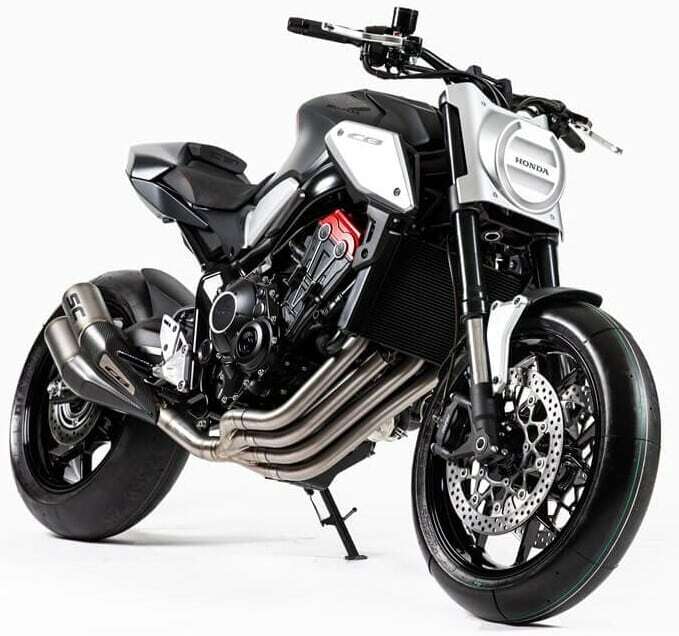 The tires seen on the motorcycle are sticky track-spec units with twin disc brakes at the front and a single rear disc brake. The tail section is compact, ending neatly before the edge of the wheel is achieved. The motorcycle feels tightly packed, further getting dual tone finish on the fuel tank. The rear monoshock is also finished in the red shade for better contrast. Honda is still retaining the old generation CB1000R in India, leaving buyers with no option than considering bikes from Triumph and Kawasaki. 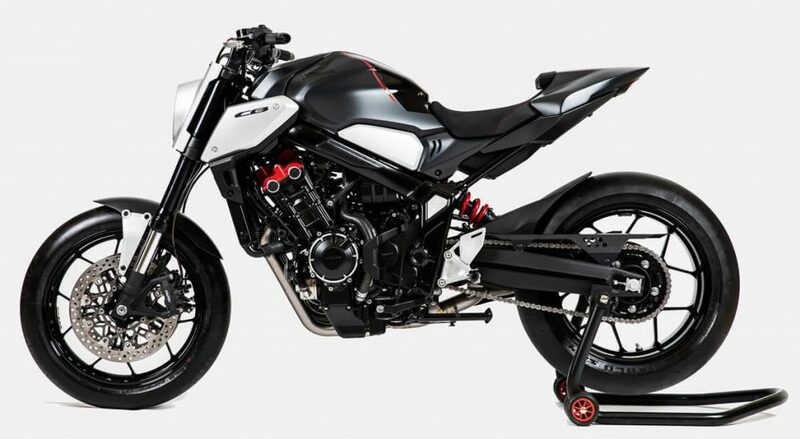 If a liter-class sportbike is launched in India with this design, it can be an instant hit among the big bike fans. Also, the quality of finishing seen here makes Neo Sports Cafe Concept comparable to options like MV Agusta Brutale and Ducati Monster. The international spec CB1000R, if launched in India, will attract a price tag of around INR 12 lakh. The powerful motorcycle is good for 143.5 HP and seats two in a comfortable riding position.